Architect is a mod that provides a small toolset to make building repetitive structures a breeze. It allows creating Blueprints (patterns) of structures in the world using a simple but powerful selection system: single blocks can be toggled to be included in a Sketch by right-clicking them, ranges can be added/removed by sneak-right-clicking to start a selection and then finish it by right-clicking again to include the selection, or sneak-right-clicking again to remove the selection. Once a selection is satisfactory, a Sketch can be converted into a Blueprint by holding right-click for a little over one second (think eating food). Blueprints can then be used to place the saved pattern in the world wherever you like. Placement follows a grid of the granularity of the blueprint's bounds (to easily allow placing a blueprint in a repeating fashion). Alternatively, the placement grid can be toggled by pressing G for free positioning. The position can be fine-tuned by scrolling the mouse-wheel while sneaking - this shifts the placement along the axis the player is currently looking along when in grid-snapping mode, otherwise it adjusts the picking distance. Rotate blueprints by pressing R. Finally, by pressing P one can toggle whether to only place complete blueprints or whether to allow partial placement. All keybinds can be rebound in the Minecraft controls window of course. 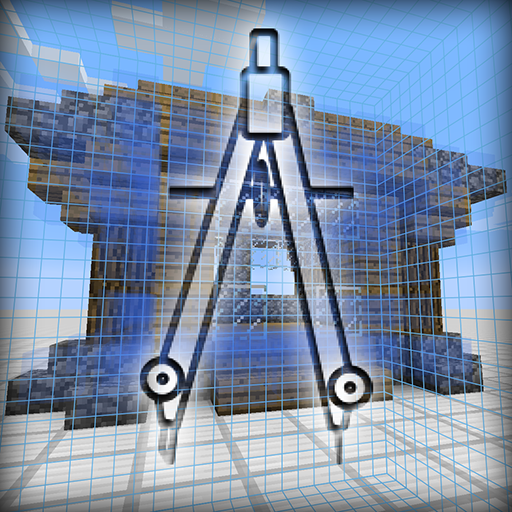 Materials for construction of a placed blueprint will be extracted from the player's inventory. To avoid running out of materials quickly, an Item Provider may be used. This item can be bound to an inventory in the world (such as chests). As long as a bound provider is in the player's inventory, materials will be pulled from the bound inventory before pulling from the player's inventory. There is a range limit, however. Its twin item, the Fluid Provider fulfills the same job just for fluids. Here's a quick demonstration video showing the basic controls, what the mod is about, and in the second half a bit of info on how to configure it. What are the chances of this mod getting a max vertical height? I would love to have portable sky-scrapers. can u port it to 1.7.10? Would be nice if I could somehow transfer blueprints I make for use in Modpacks I create. I would love players to have prefab houses they have to provide resources for. So few mods allow for this sadly. /architect copy and /architect paste will do that (provided you have a blueprint to copy from/paste into in hand). The first will copy a string into your clipboard representing the blueprint, the latter will try to use a string in your clipboard to populate a blueprint. how would this allow someone to use the blueprint I made in a modpack? Is the blueprint saved in a folder I could give to players or is it tied to a saved game? So long as they have all the blocks that are used in the blueprint, they can paste it using the exchange string and use it. Or do you mean you want to spawn pre-configured blueprints? pre-configured blueprints so I can give them what Ancient Warfare use to and what Prefab does but doesn't allow me to add schematics of my own. Ah, I misunderstood then. Please open an issue on Github in that case, detailing what you'd need specifically (should they spawn with the BP, should it be craftable, that sort of thing). Could you please change it so my auto-updater works? Thanks! Oops, thanks for letting me know, fixed! Is there a way to mirror the blueprint? Not currently; seeing as there's a mirror method in TileEntities though it'd be possible. Will see if I can get around to adding it sometime. Is there any way to carry over a blueprint from one world to another? I'd love to be able to build my house in creative and then place it down in my survival world. There's /architect copy and /architect paste. Both operate on a blueprint currently held in hand (copy puts an exchange string in your clipboard, paste assumes there's one in your clipboard). Daaang. I've been just browsing the mod list to see what's out there and this looks perfect for automating Immersive Engineering multiblock construction. I've been told that works rather nicely, yes, just make sure to make the blueprint before whacking it with the hammer!